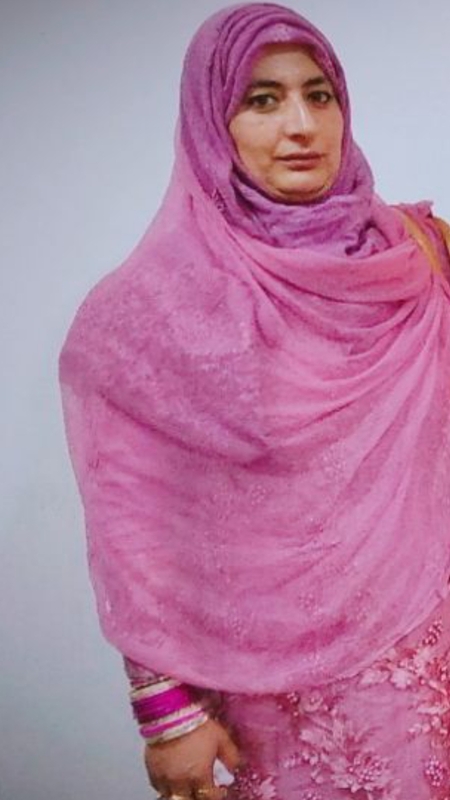 Bandipora: Rehana Gulzar, a 33-year-old woman and a mother of three, was allegedly burnt alive by her in-laws in Ahm-e-Sharief, a village of North Kashmir’s Bandipora district last week. The victim sustained grievous burn injuries according to the doctors. Although she was rushed to a nearby hospital on Saturday, she soon died of her injuries. The doctors said that she had sustained 100% burn injuries. The family members of deceased alleged that she was murdered by her in-laws. They said that she was married eight years ago and ever since was continuously being harassed. “She was tortured and harassed by her in-laws from the day first of her marriage over petty issues, they have burned her alive today as she was preparing to shift to her newly-constructed house,” Iqbal Ahmad, a brother of Rehana said while talking to TwoCircle.net. However, Rehana’s in-laws refuted the allegations saying that she had committed suicide. Rehana Gulzar was married to Lateef Ahmad Baba of Ahm-e-Sharief in 2009. They have three kids and Rehana was working as Head Nurse in the Department of Health. Meanwhile, the police have started an investigation into the case. “So far, all the accused in-laws have been arrested. Let us see what comes out,” SHO Bandipora Syed Gazanfur added. Meanwhile, scores of employees from Health Department staged a protest at Gulshan Chowk Bandipora, demanding justice for their colleague. 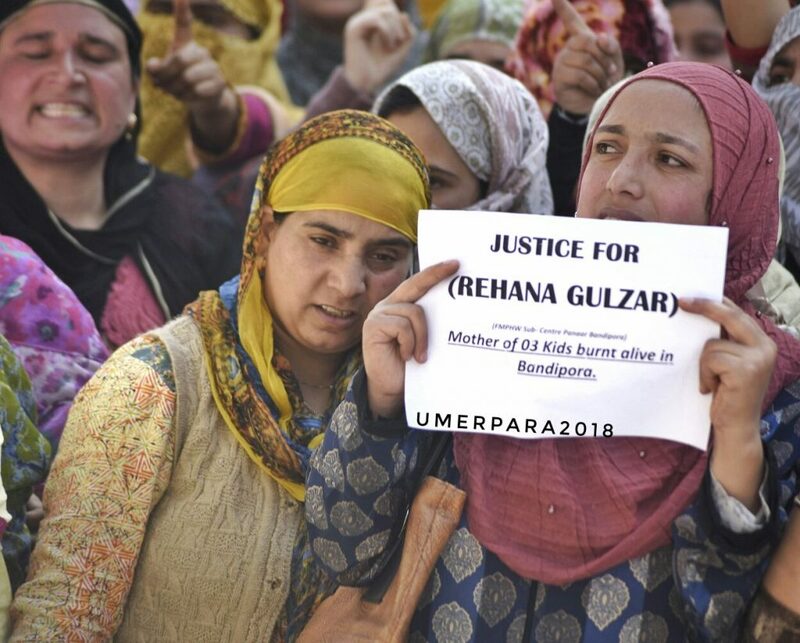 Employees while displaying placards reading “Justice for Rehana”, “Hang the Culprits”, shouted slogans demanding capital punishment to the perpetrators. “Our colleague was burnt by her in-laws. We have carried out this protest rally to demand justice for our colleague. A CBI inquiry should be carried out in this case and justice be delivered to her,” demanded Fayaz Ahmad, a protesting health employee.